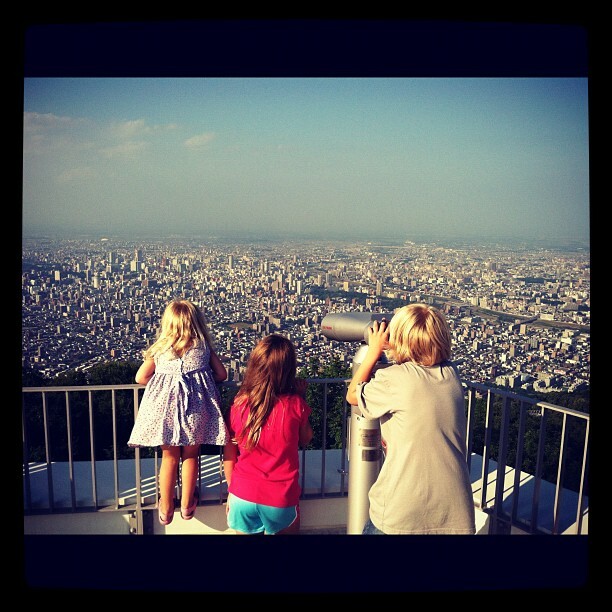 Tessa, Mayah & Malachi look over the city of Sapporo (1.9 million) from the top of Mt Moiwa. It is overwhelming to walk and ride our bikes through the streets of Sapporo, Japan and look into the eyes of the people here knowing that statistically almost every single one of them (99.6% to be exact) do not know Jesus Christ. Standing on top of Mt Moiwa with our children looking out over the high rise apartments buildings and businesses, we can better comprehend that 1.9 million people live here. It breaks our heart to know how lost these people are and fills us with an all-consuming passion to see God’s glory manifested here by the spreading of the Gospel and redemption of lost souls! God has called the 0.4% Japanese believers to reach the 99.6% unreached in Japan with the gospel of Jesus Christ. They are best equipped and most passionate to reach their people. We are humbled and excited to be here for this year to equip and mobilize them to share the gospel, disciple new believers and form new churches. Will you join us in praying for the 1.9 million in Sapporo, the 5.5 million in Hokkaido and the 128+ million of Japan? wow man! Heavy stuff, but it makes you rely on the God who gives us a heart for the lost! Thanks for the post! Keep on keeping on making disciplers! Japanese people have their own religion which is a kind of Buddhism, called Shintoism. They believe that everything has a soul but that’s pretty much about it.